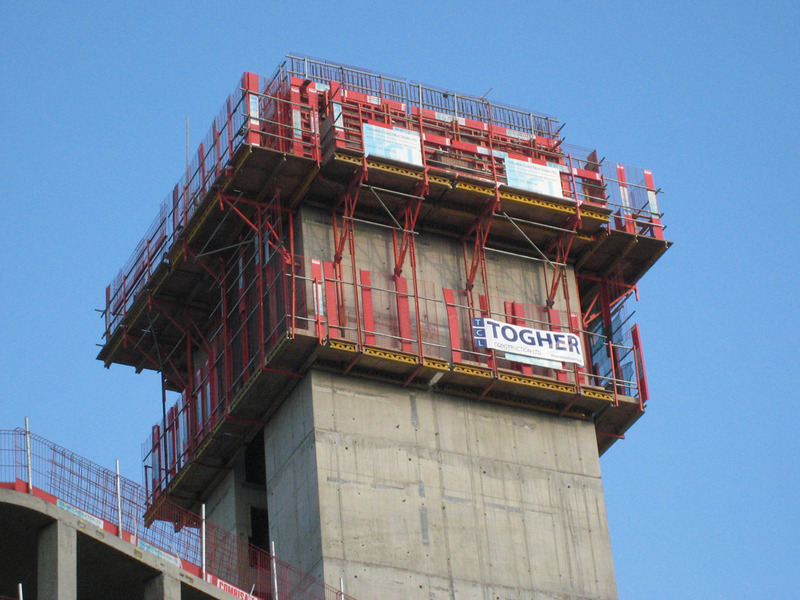 Togher Construction are a trusted family run business in their fifteenth year of safely delivering a wide range of projects within their financial, logistical and programme constraints. 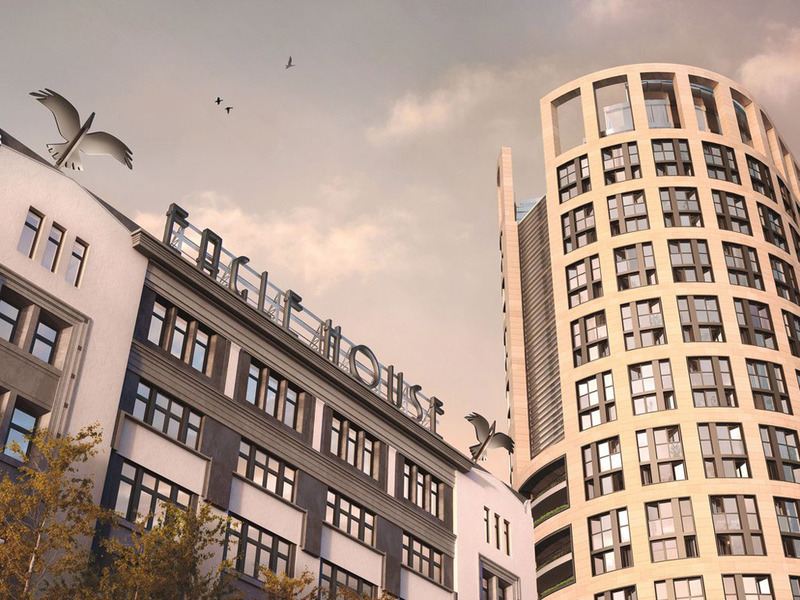 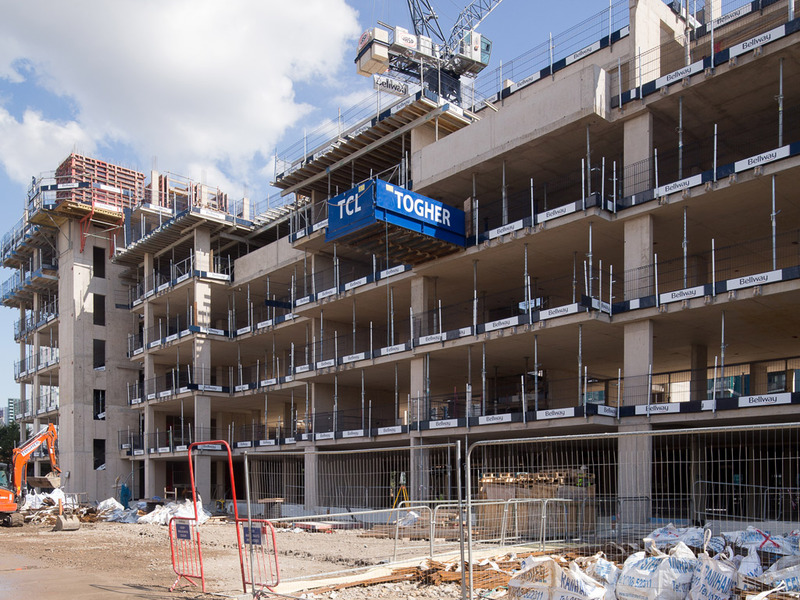 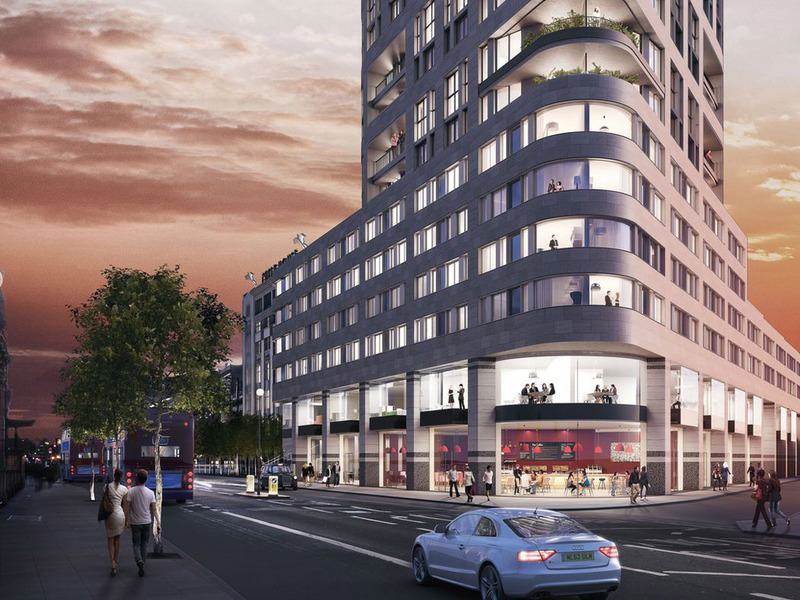 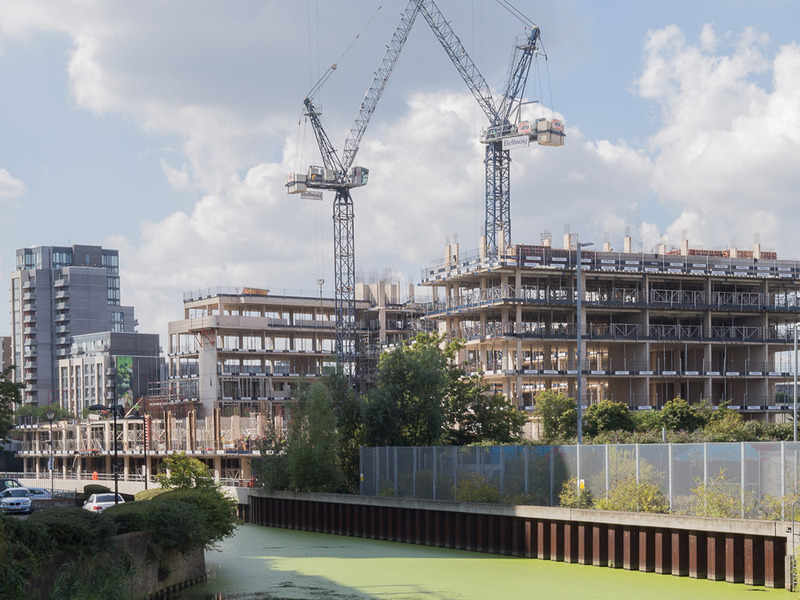 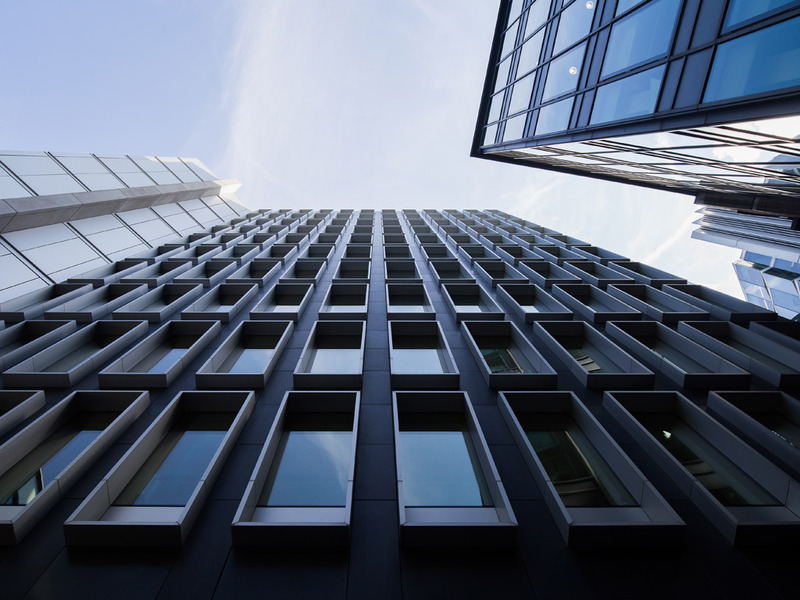 Togher consistently deliver quality results for well known contractors and developers including residential, office, education and retail schemes throughout Greater London and the home counties. 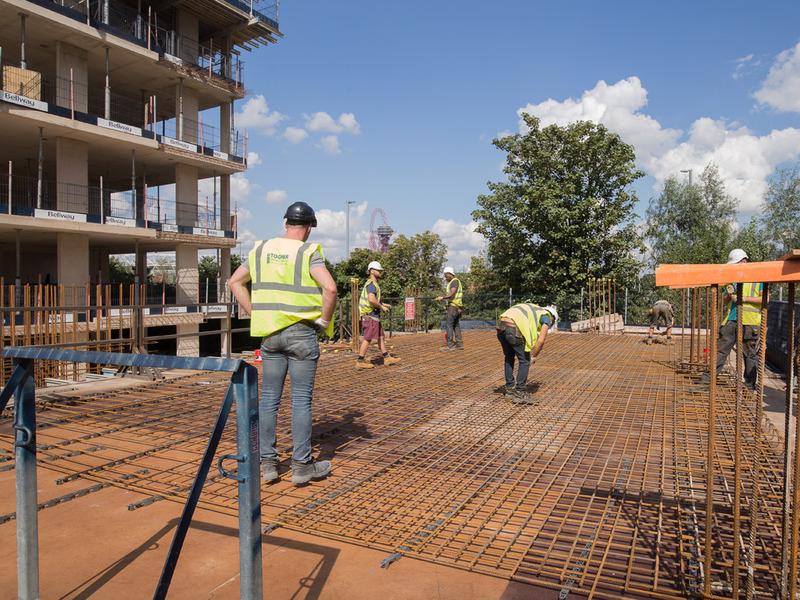 Our services include dig, temporary works, groundworks, precast & insitu concrete frames, external works and all associated works from £300k to £10m. 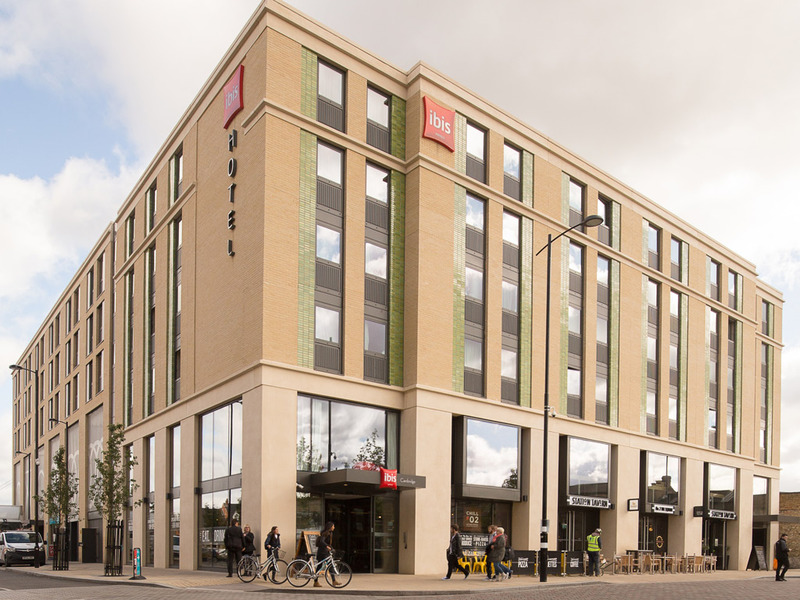 Togher have already left a considerable signature on the landscape in the southeast from the iconic ‘Eagle’ building on Londons City Road and Fetter Place in the City where the 13 story panoramic glass lifts show off the high architectural finish achieved - to the Marriott Lingfield Hotel, the recently opened Cambridge Ibis Hotel plus many thousand residential units throughout the region. 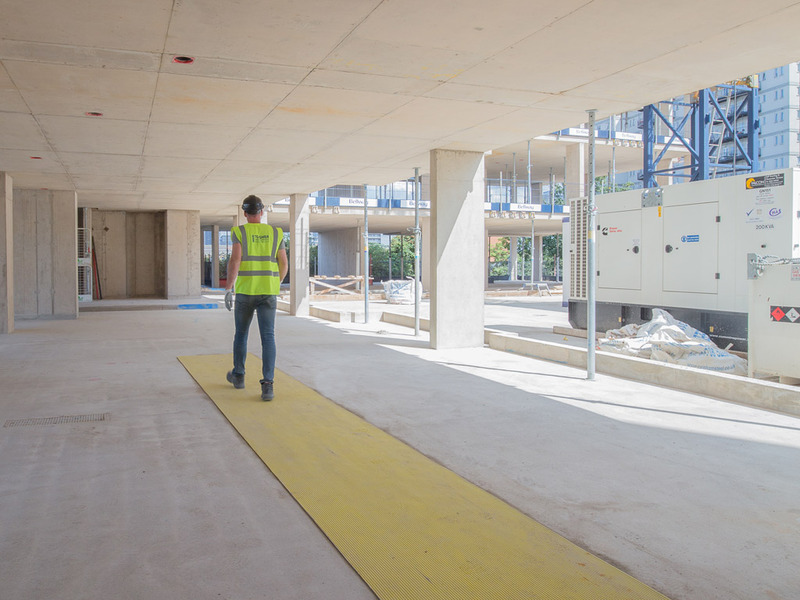 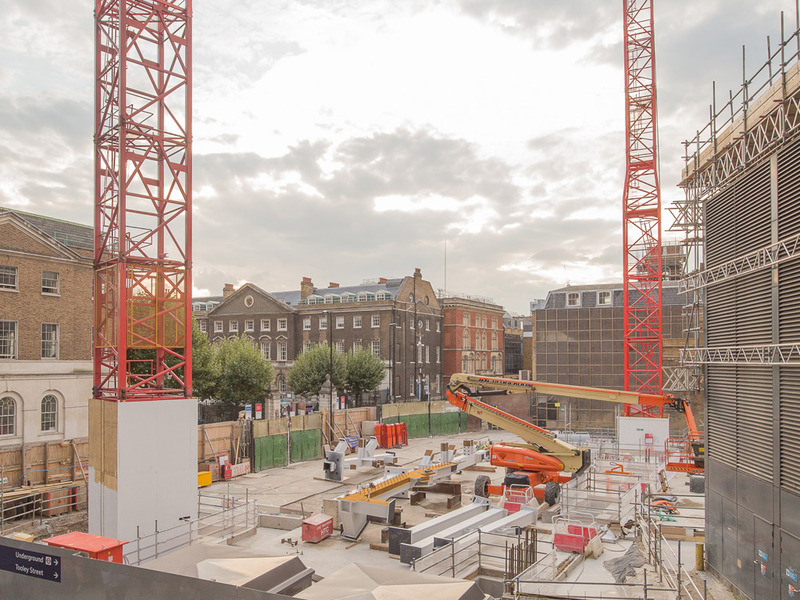 We can offer suitable construction solutions to clients thanks to our in house labour, formwork, plant and machinery supplied from our depot and head office located close to central London. 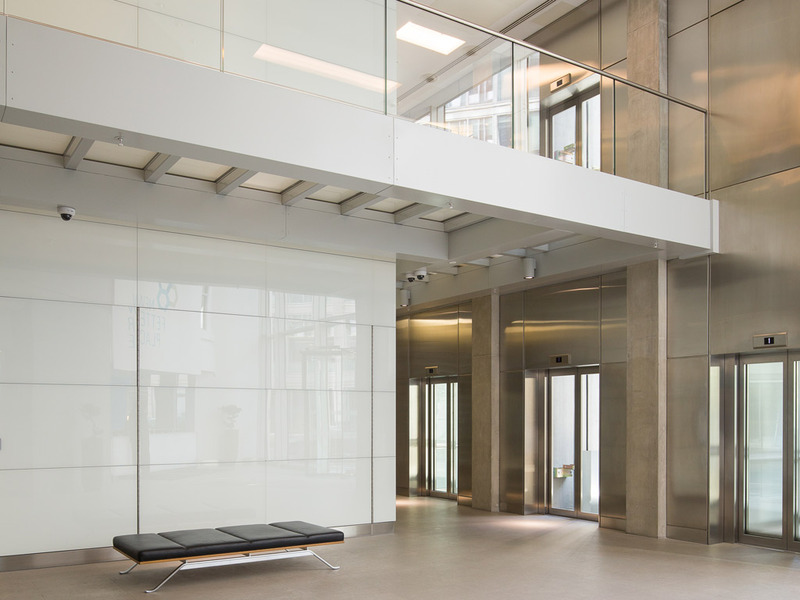 Below you can browse some of our recent projects. 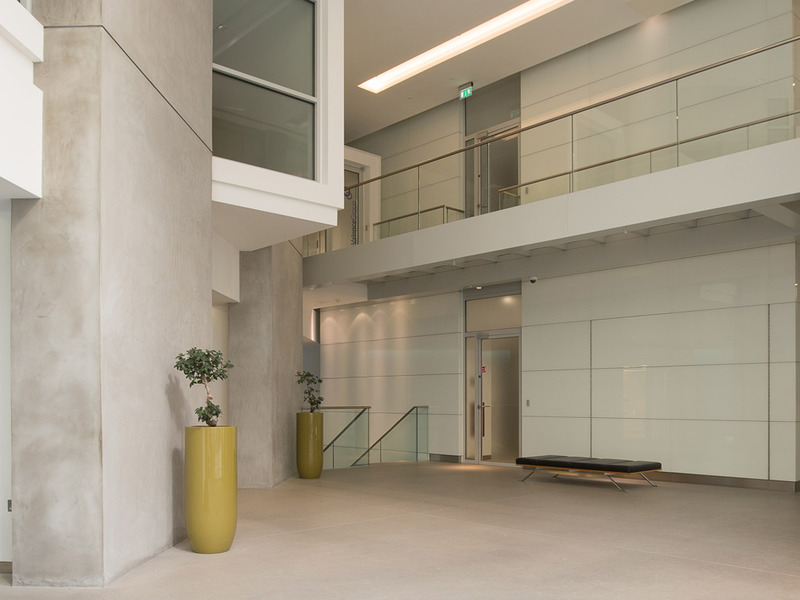 To see more, please visit our projects page. 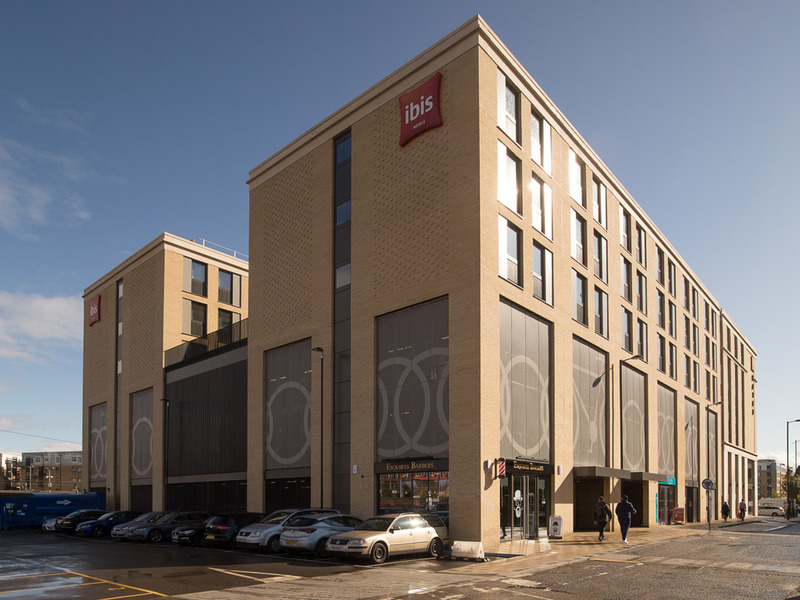 Completed in January 2018, a 9 storey 20.00m2 scheme consisting of 194 units. 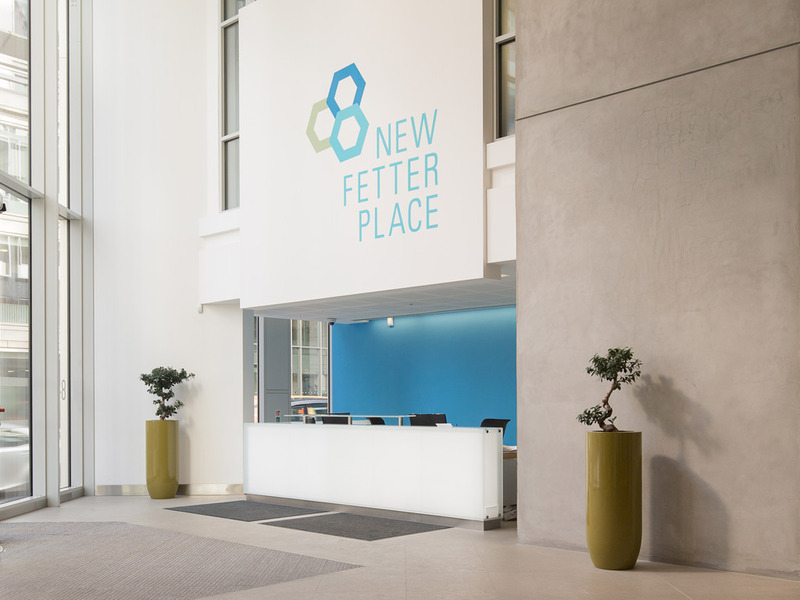 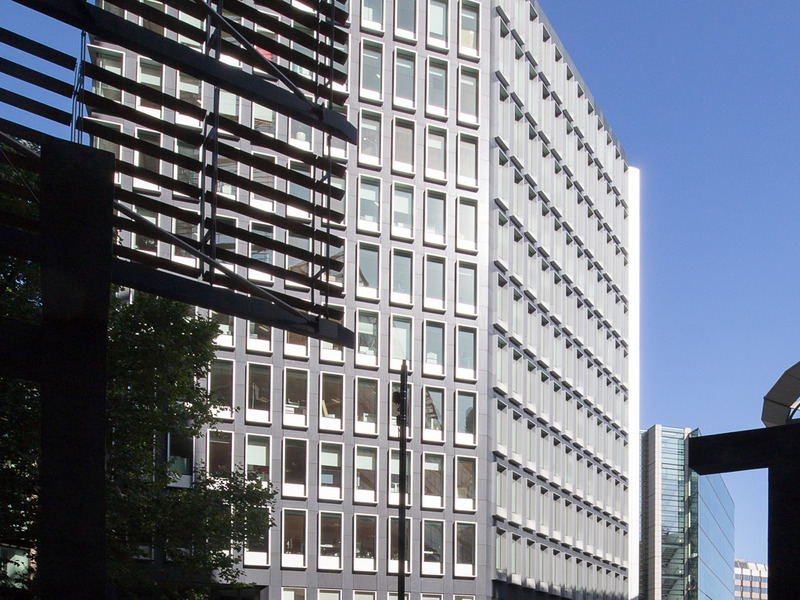 Usage includes the client's new regional offices, commercial area and car parking. 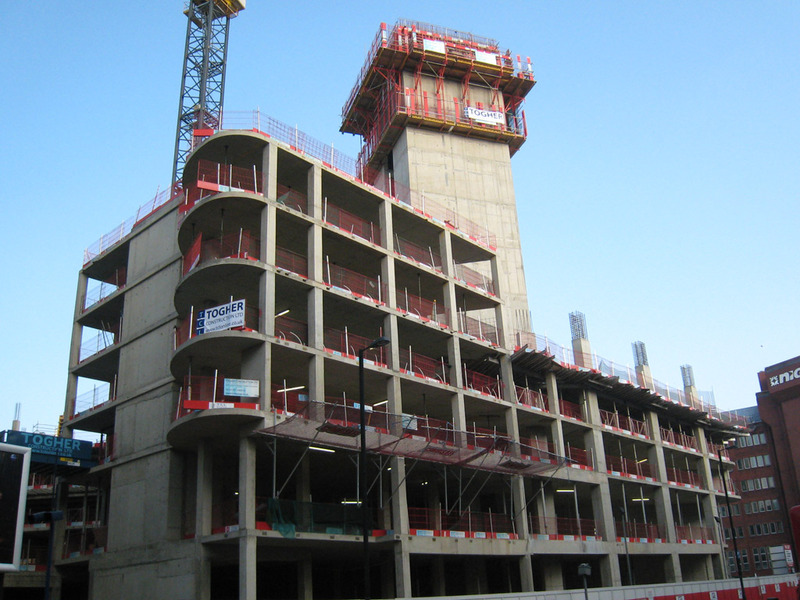 The upper levels provide residential and social units. 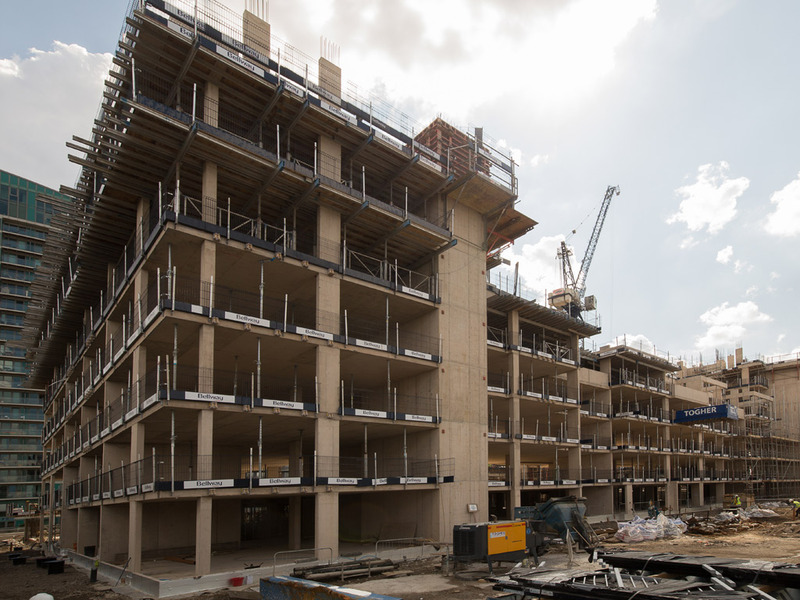 Two blocks consisting of 166 units. 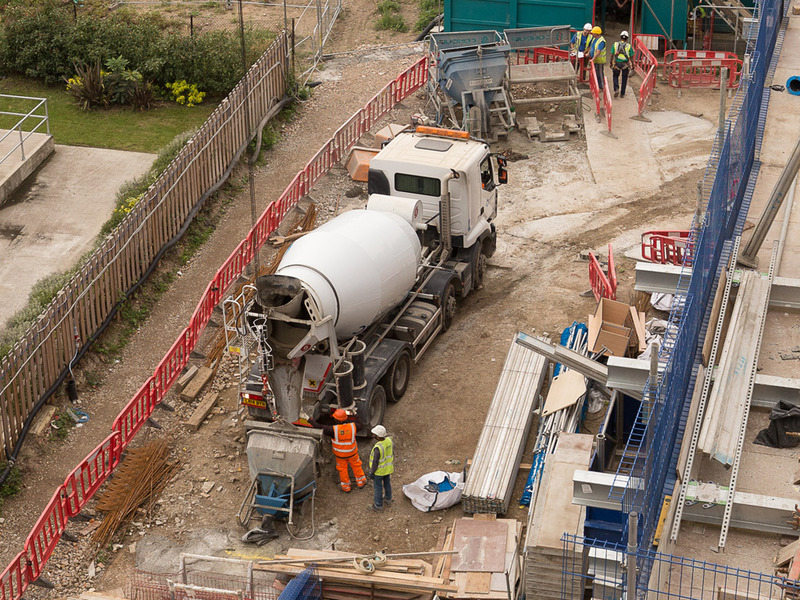 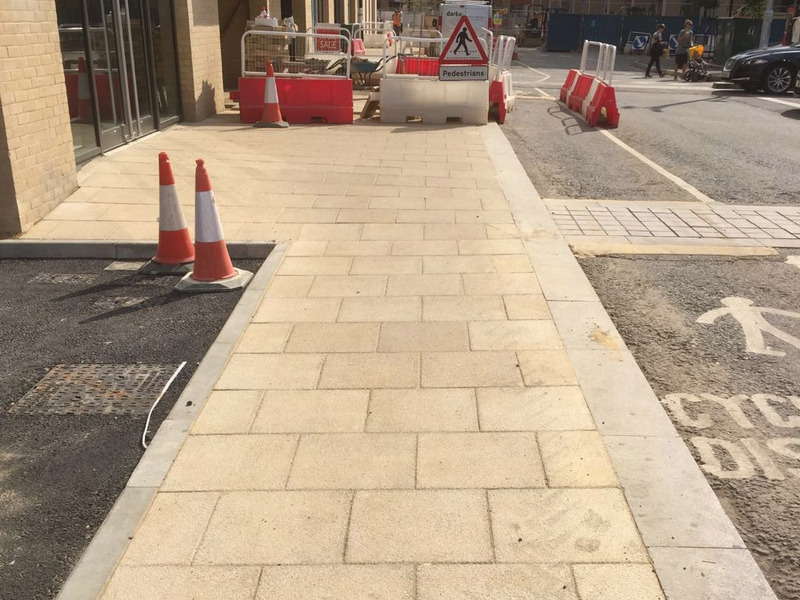 Works include sewer diversion, new road, groundworks and concrete frame on a commercial and residential scheme. 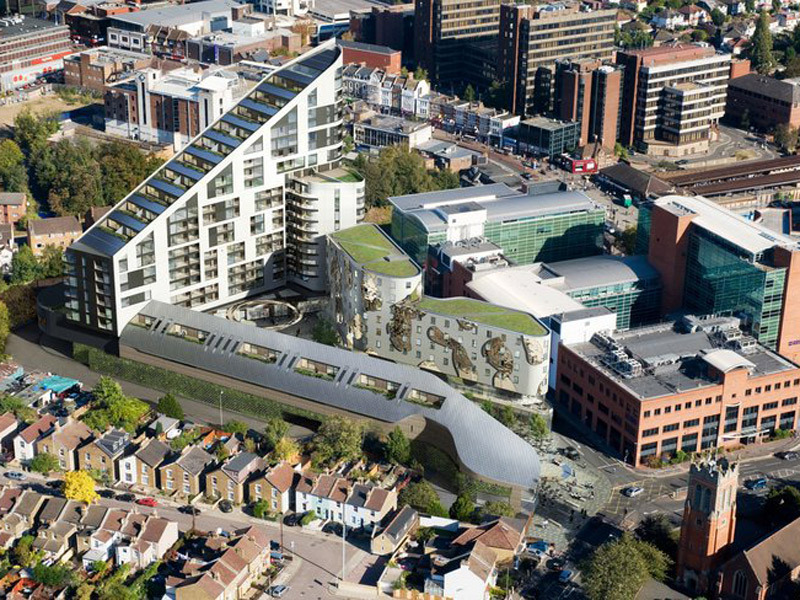 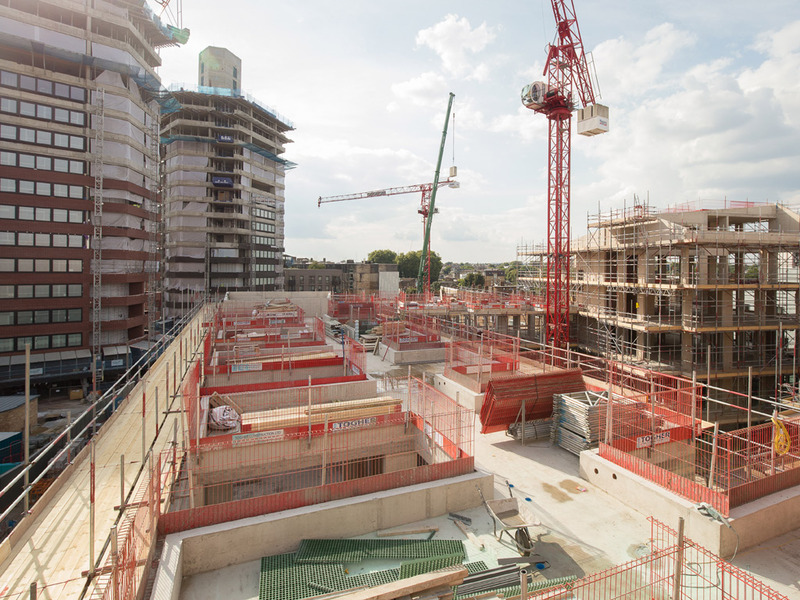 Deep drainage, groundworks and RC frame on a 4,000m2 footprint rising to 6 storeys to provide 106 units including all external hard and soft landscaping. 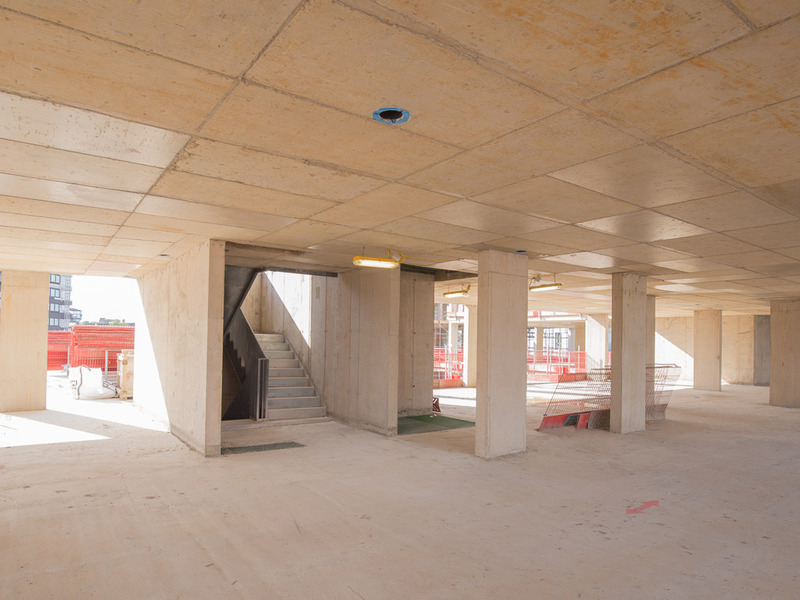 A six storey waterproof basement below the water table in Bromley town centre. 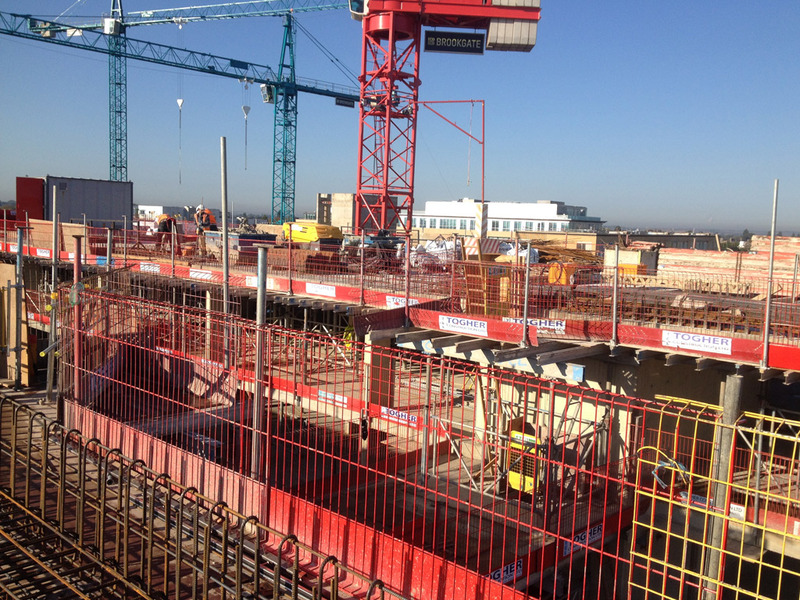 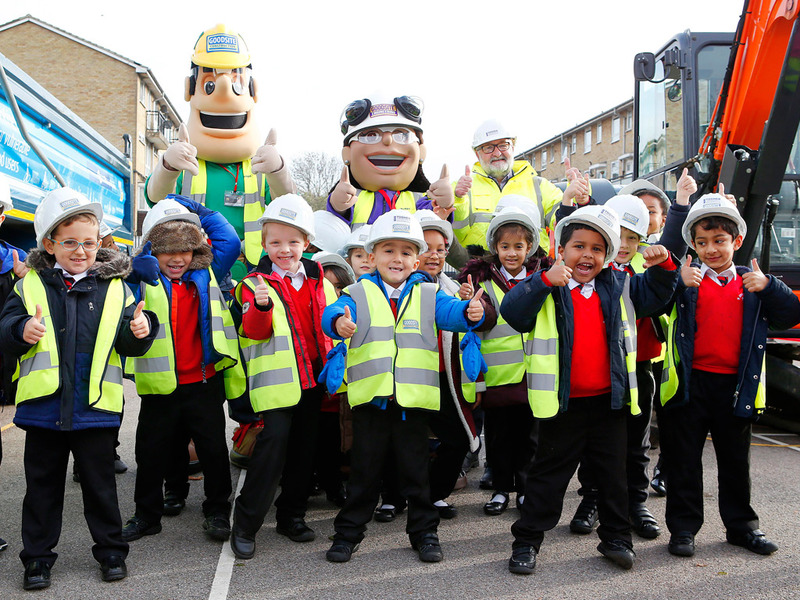 Works consisted of multi-level car park, new bus route, major temporary works and enhanced concrete finishes. 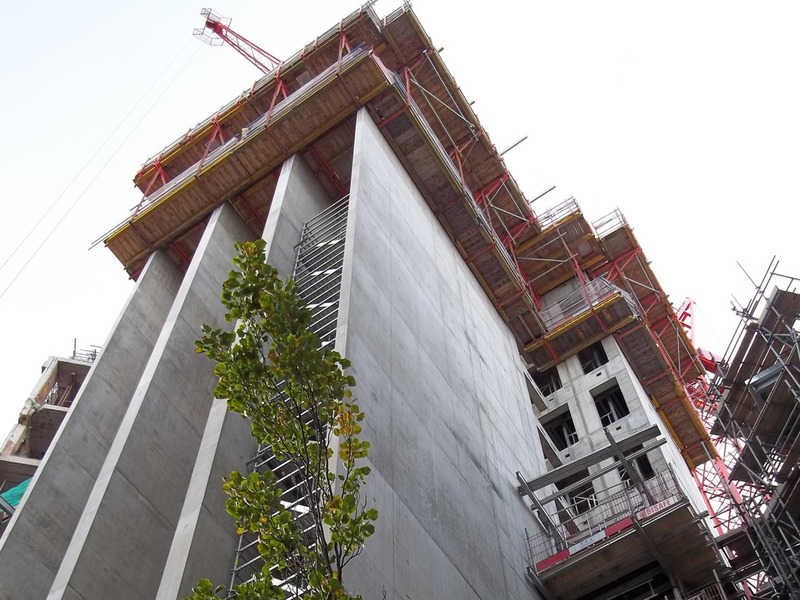 This is a top down construction method for the substructure and basement of a 26 storey building on a confined site. 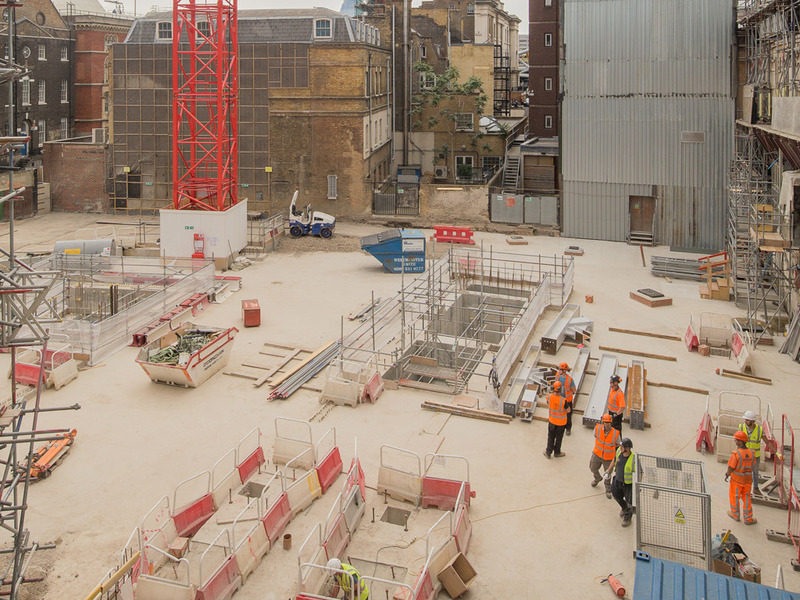 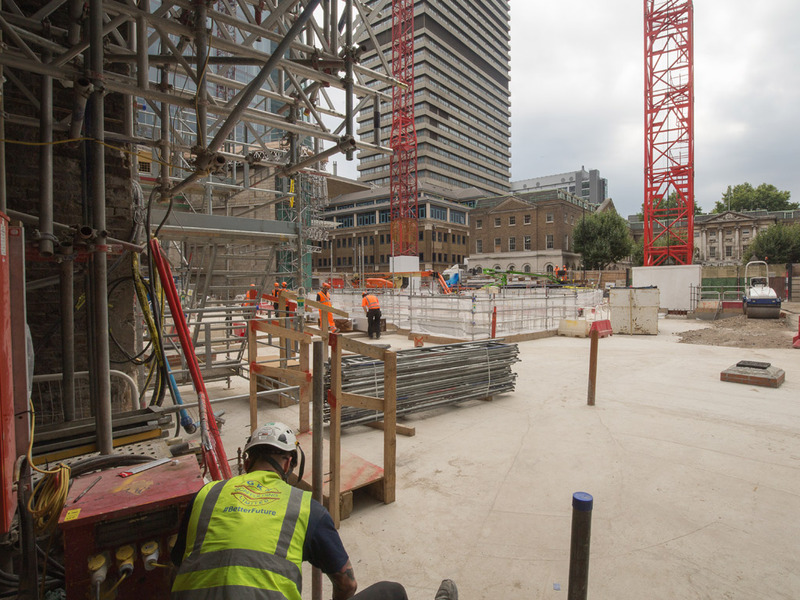 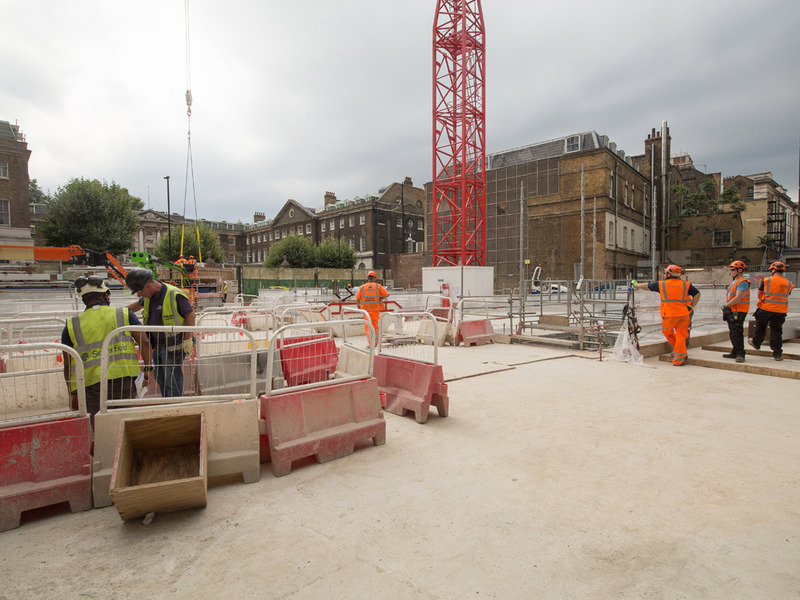 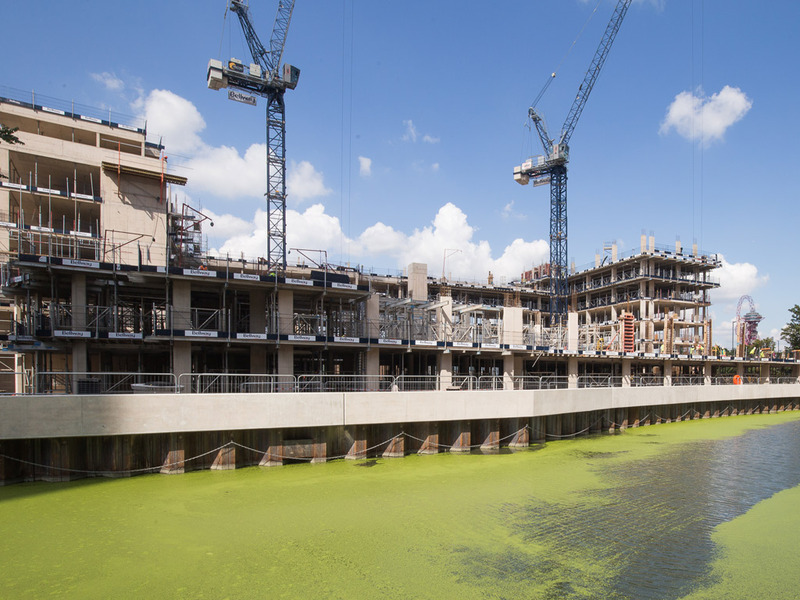 Where the 3,000m2 basement raft slab was poured in 2 continuous concrete pours in a logistically challenging location next to London bridge station and the Shard. 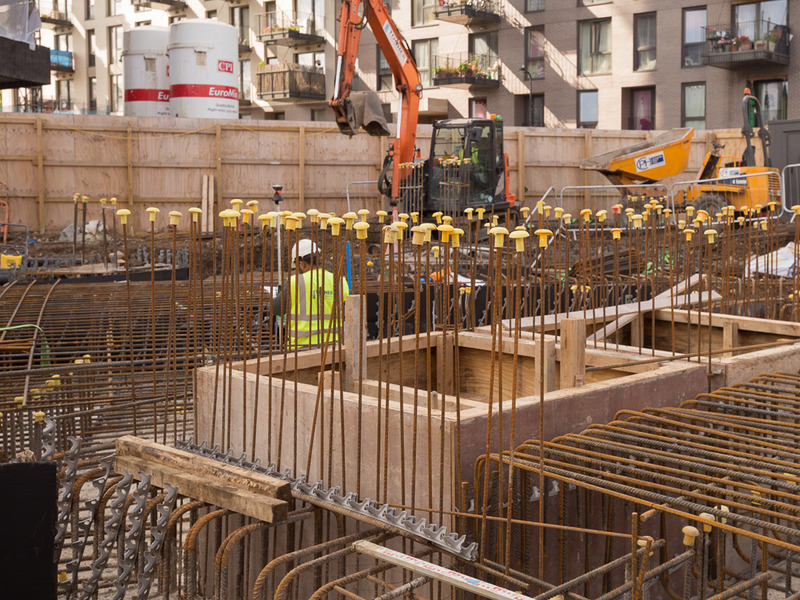 Substructure: Bulk excavation, inclusive of substantial temporary works due to the proximity of a major arterial route within the centre of London. 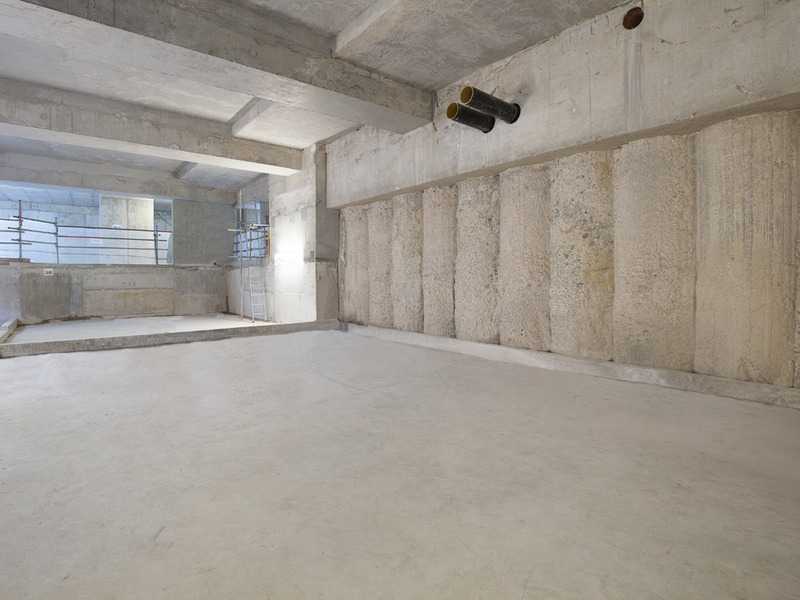 Other sub-structure works included complicated underpinning, and traditional basement works. 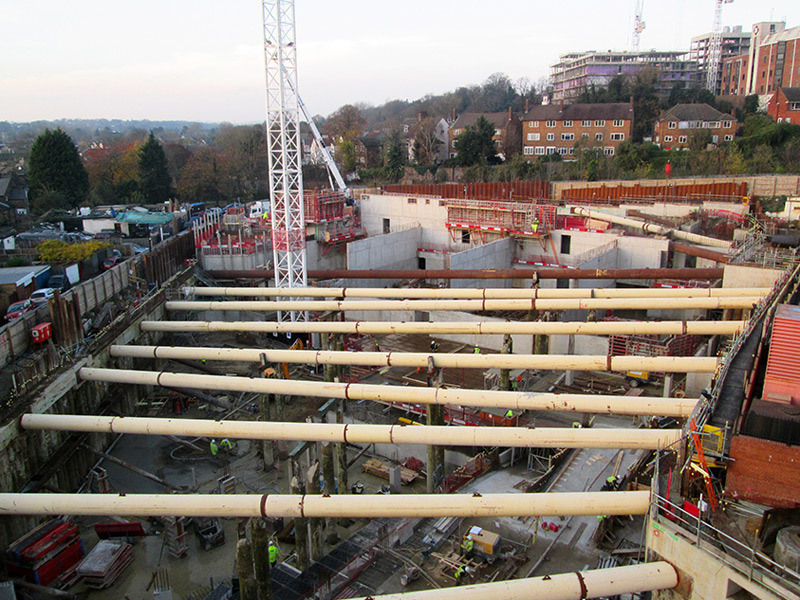 This incorporated the waterproofing of the structure, up to ground floor to complete the basement car park. 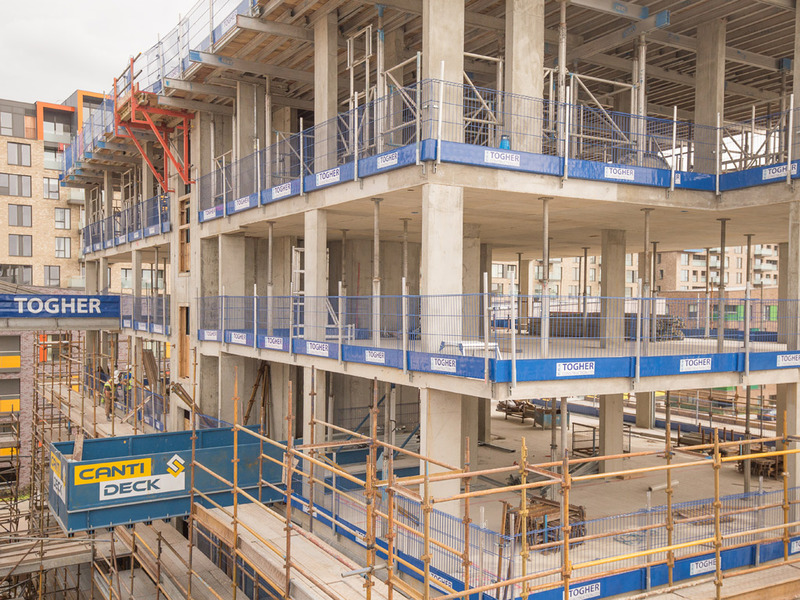 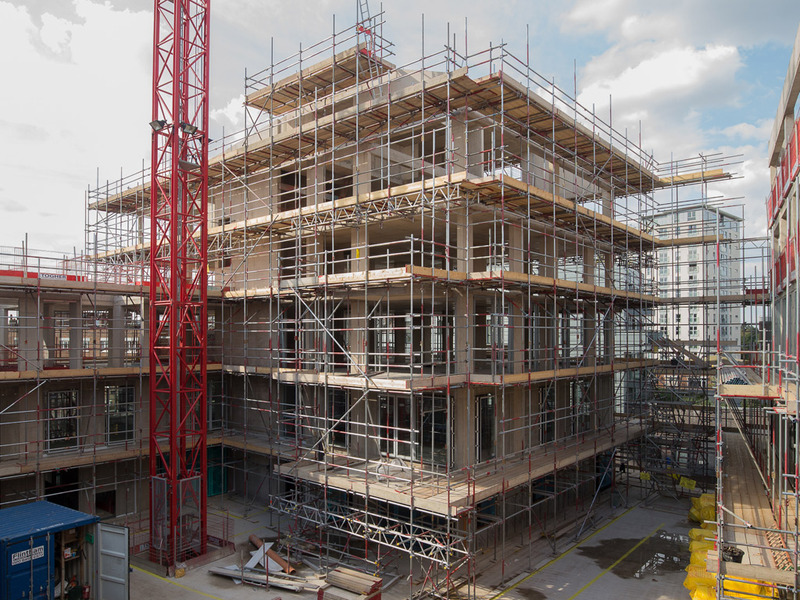 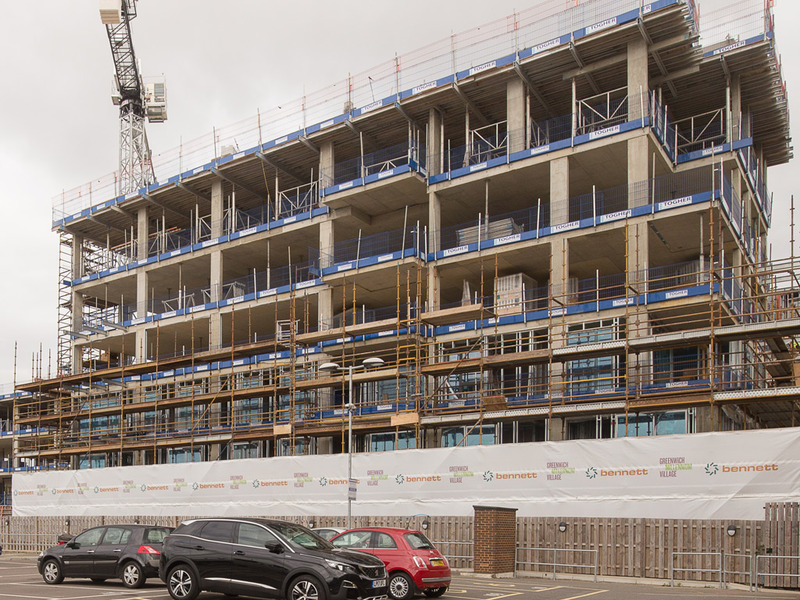 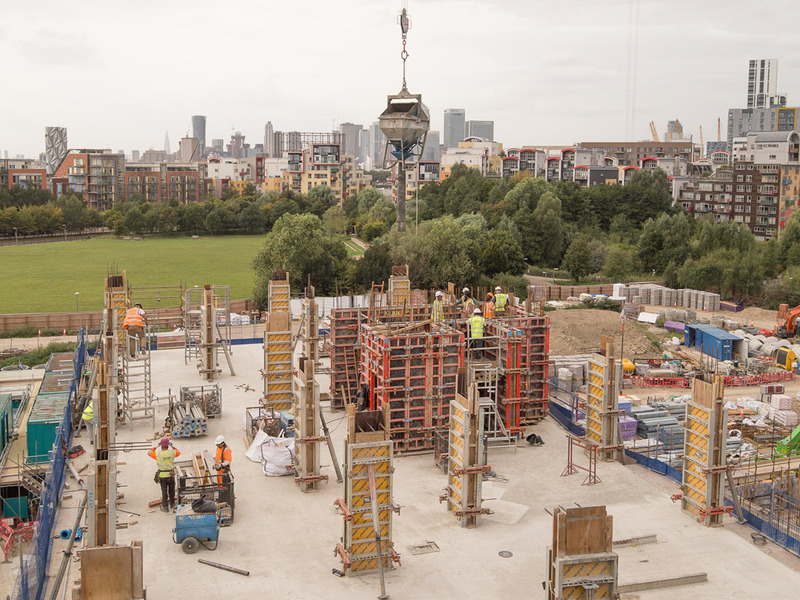 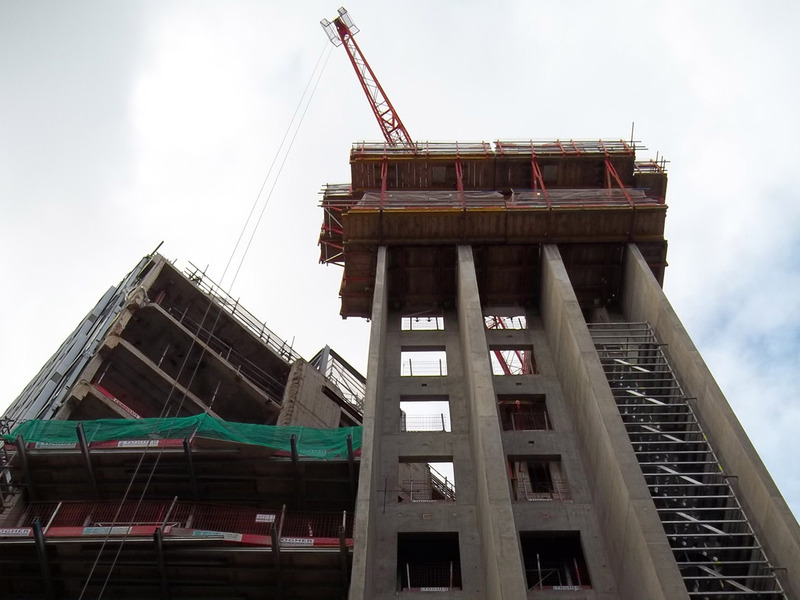 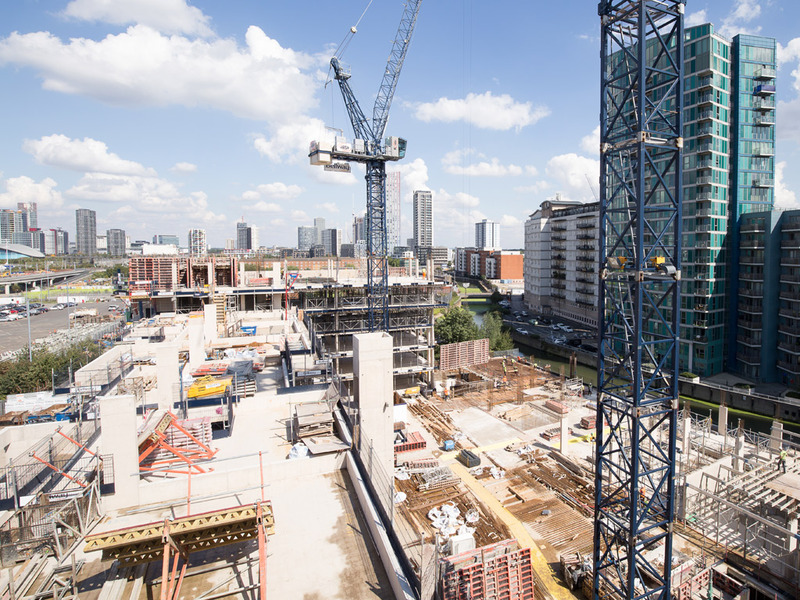 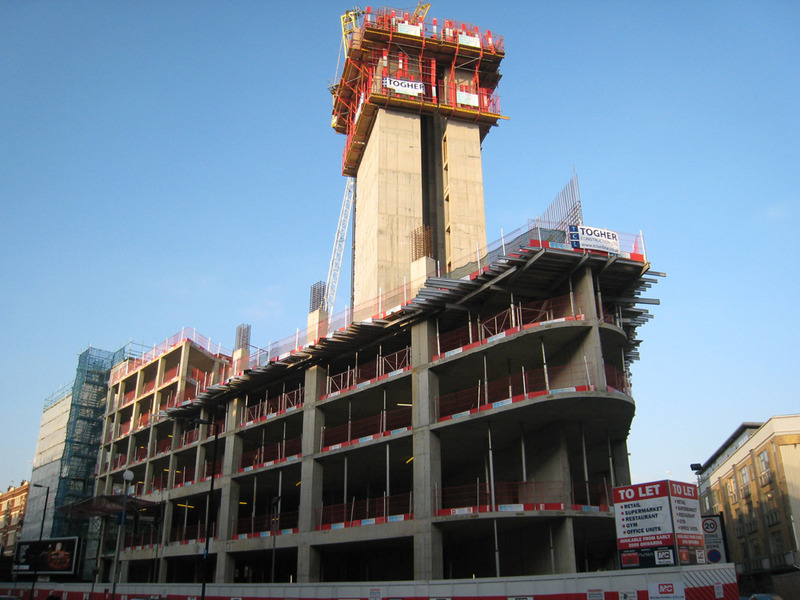 Superstructure: A 27 storey concrete frame constructed using a post tension system to make substantial savings on reinforcement, concrete and programme. 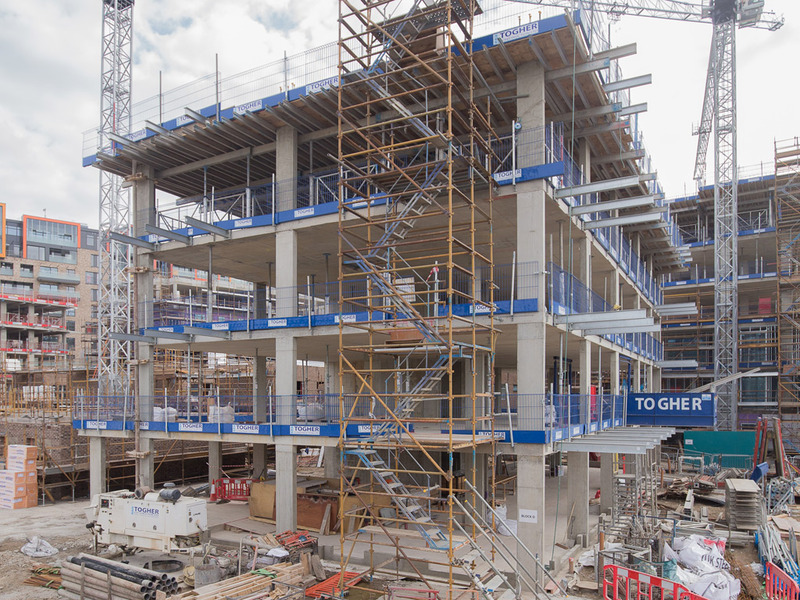 A jump-form system was used on the main stair/lift core to create extra space on site and make time on the project. 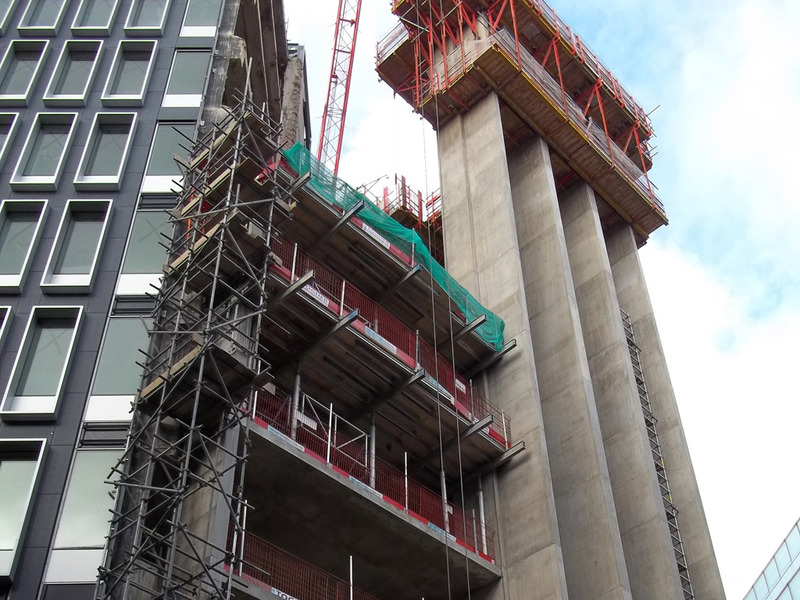 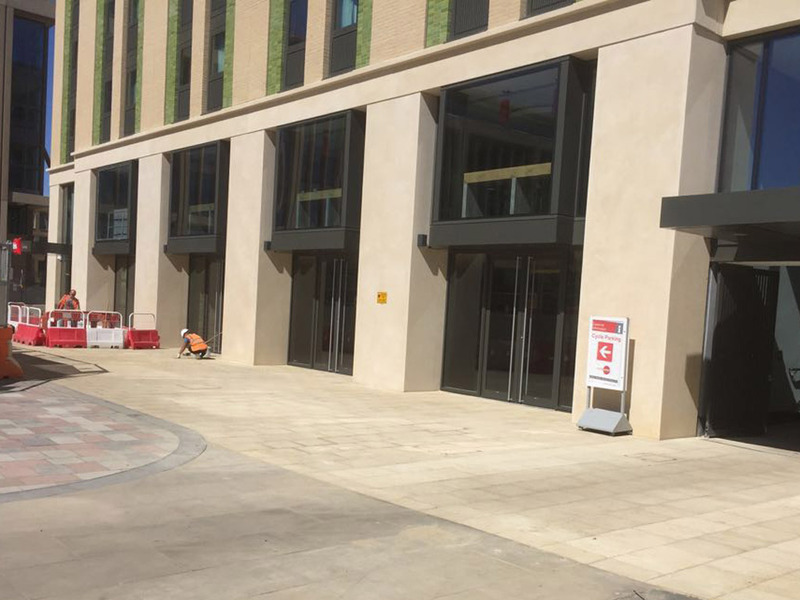 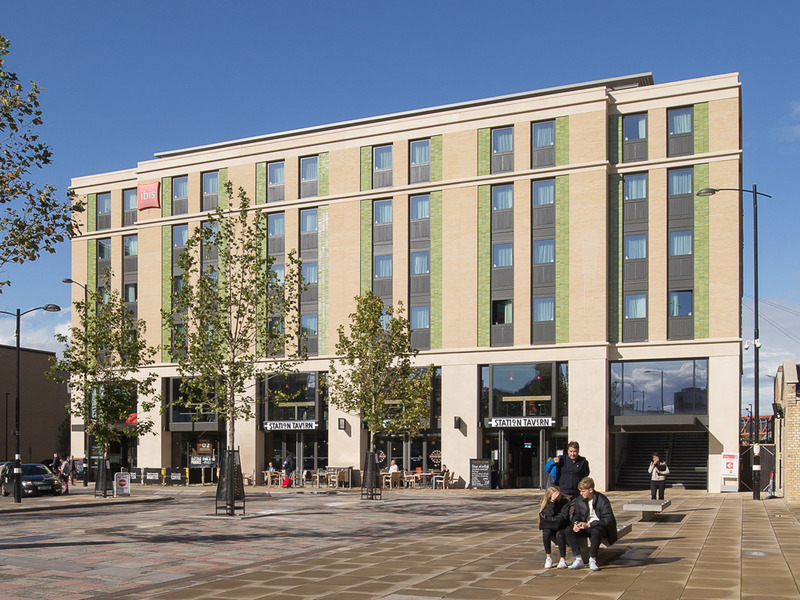 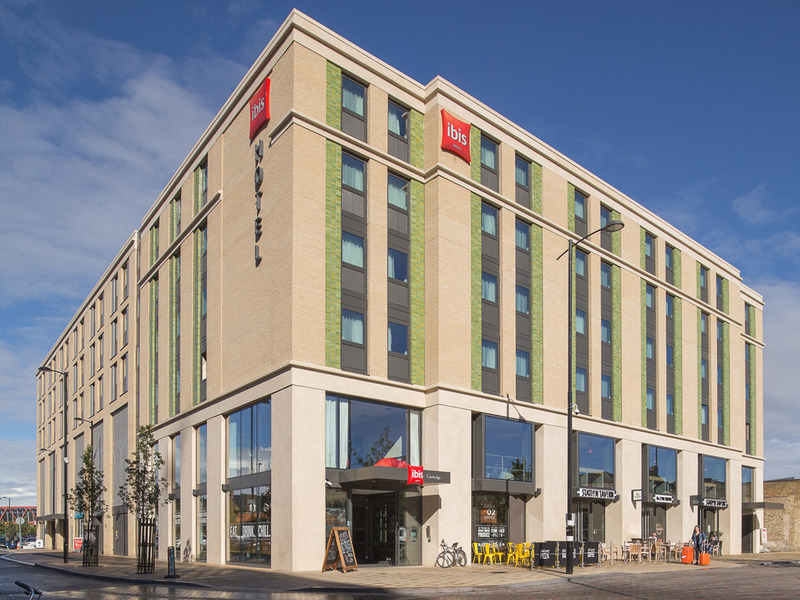 Concrete structure build on vibration proof pads incorporated in the substructure working around façade and pod installation followed by a high quality external works scheme. 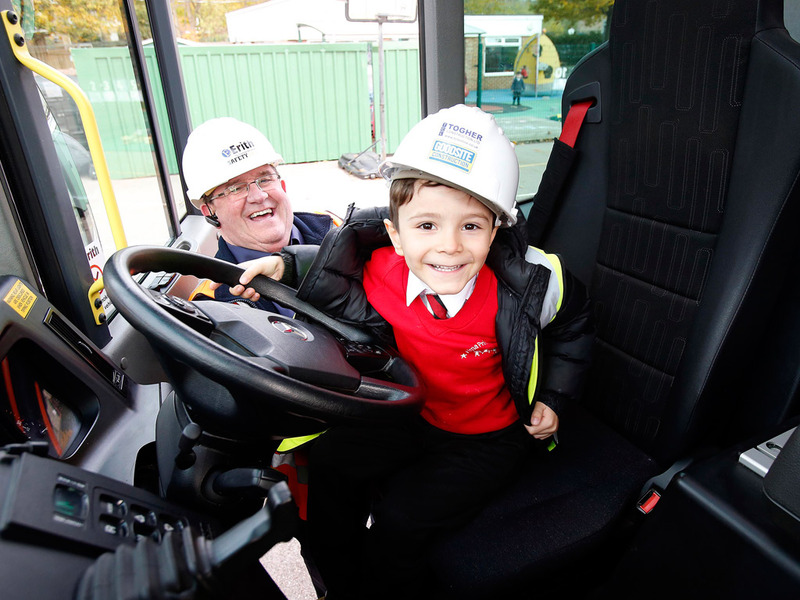 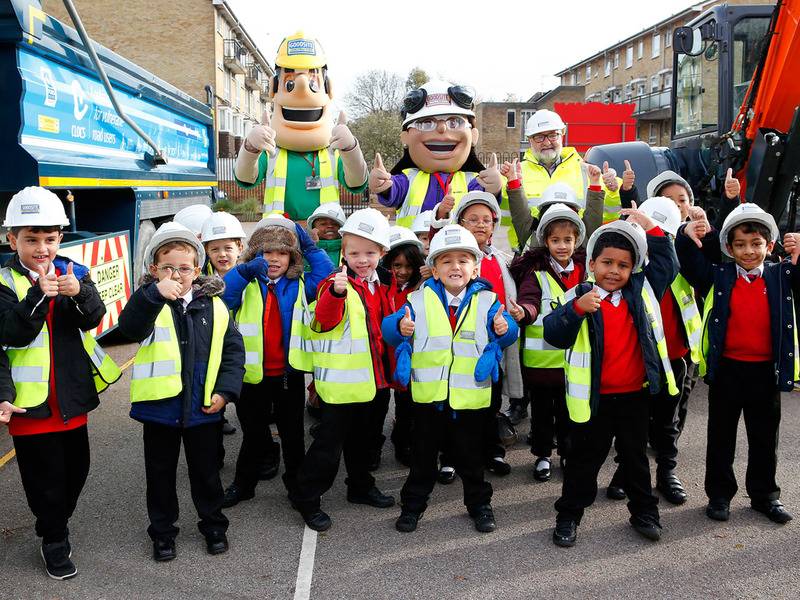 Togher Construction took part in the Alma school open day with Countryside, The children were shown round machines and received prizes for answering questions correctly. 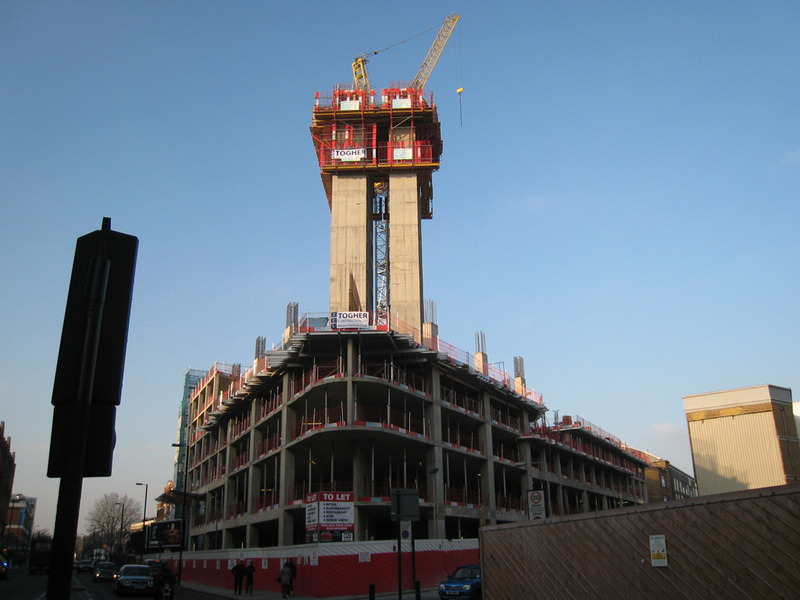 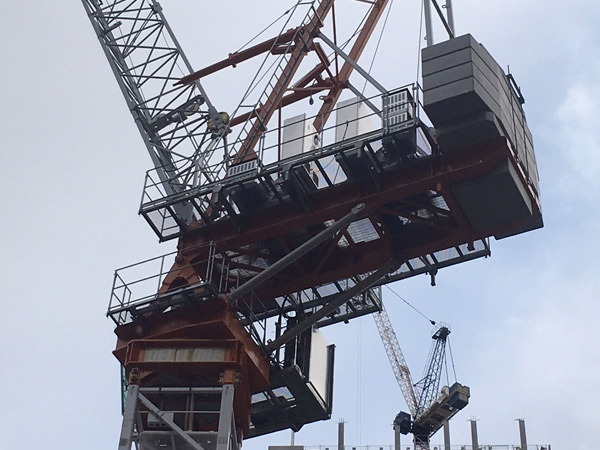 We have taken delivery and erected our first TCL Tower Cranes in East London. 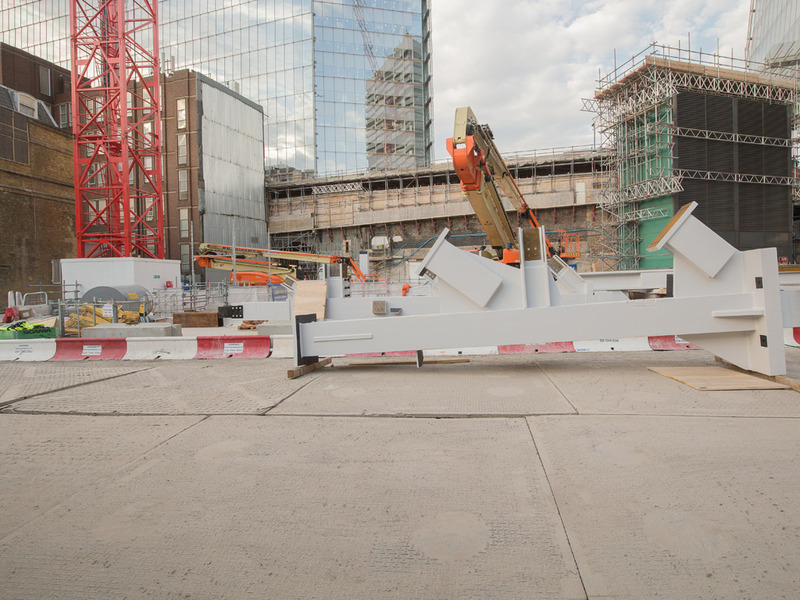 First precast columns roll off the production line of our new indoor precast manufacturing plant at Enfield. 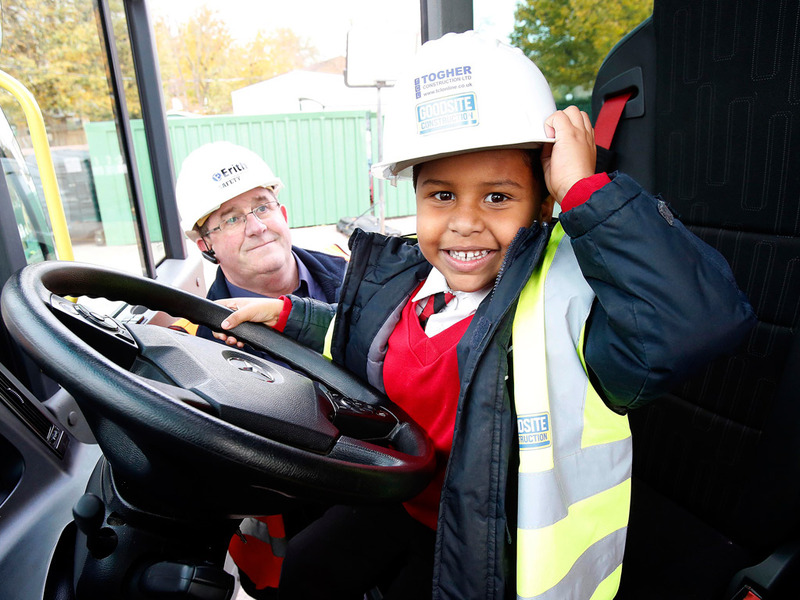 Togher Construction took part in the Alma school open day with Countryside. 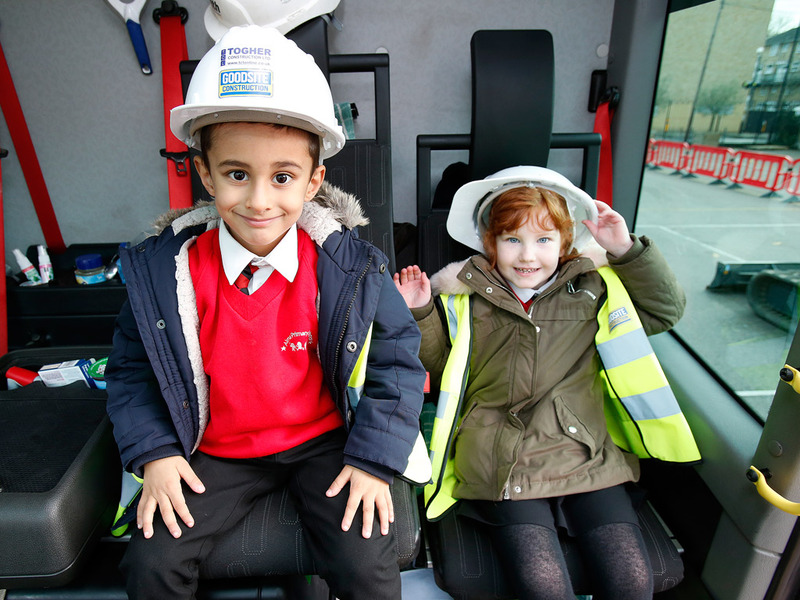 The children were shown round machines and received prizes for answering questions correctly. 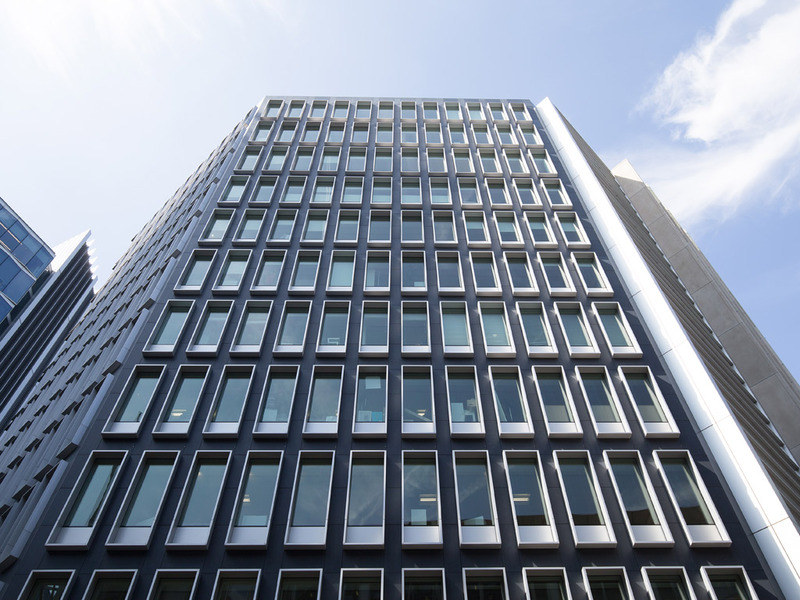 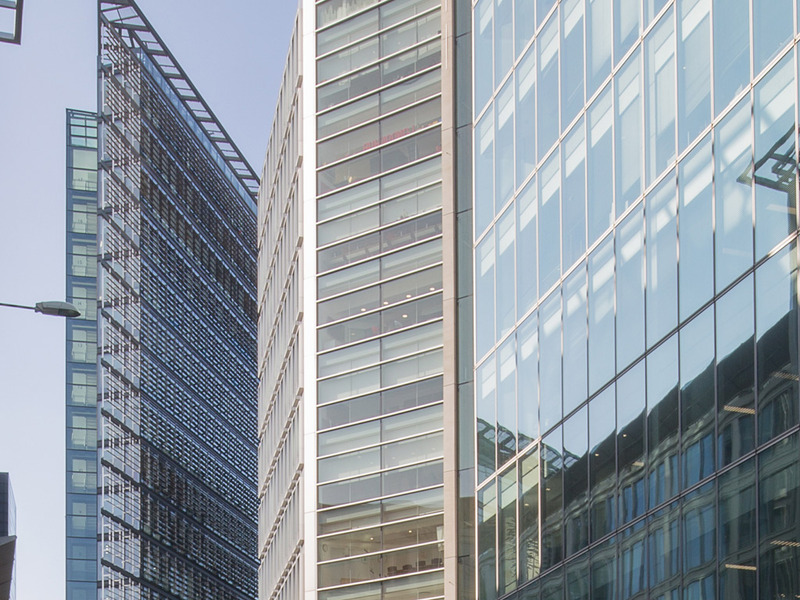 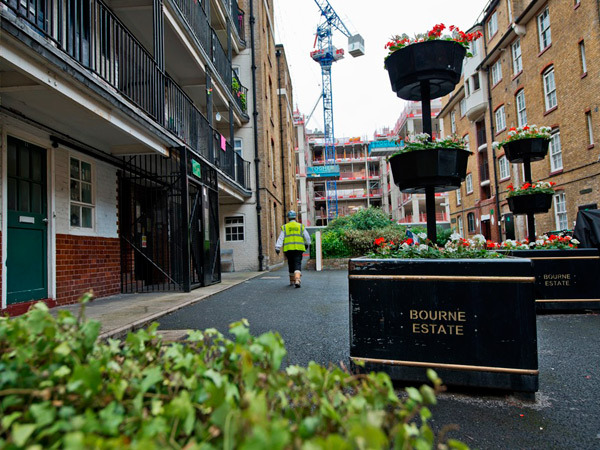 We have recently completed the prestigious Bourne Estate project in Clerkenwell, London. 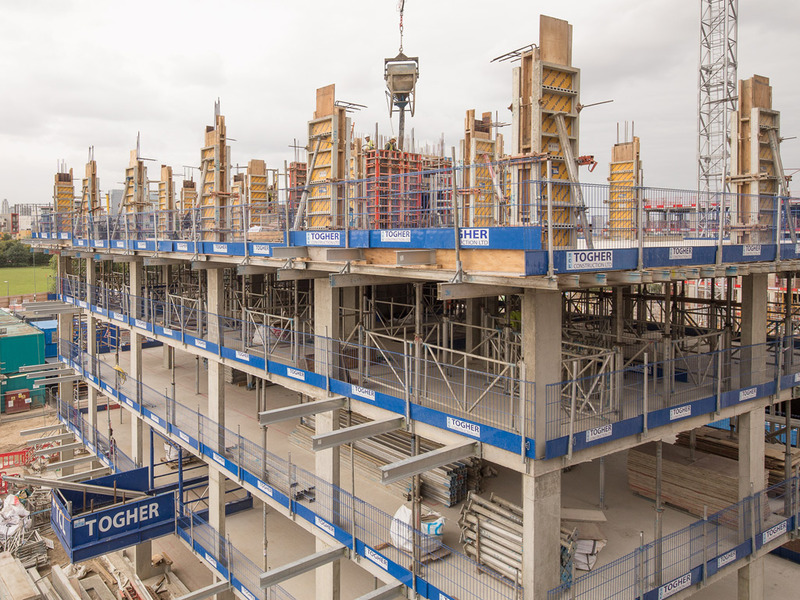 "Togher displayed their experience and knowledge on this challenging scheme, they were always proactive and easy to deal with. 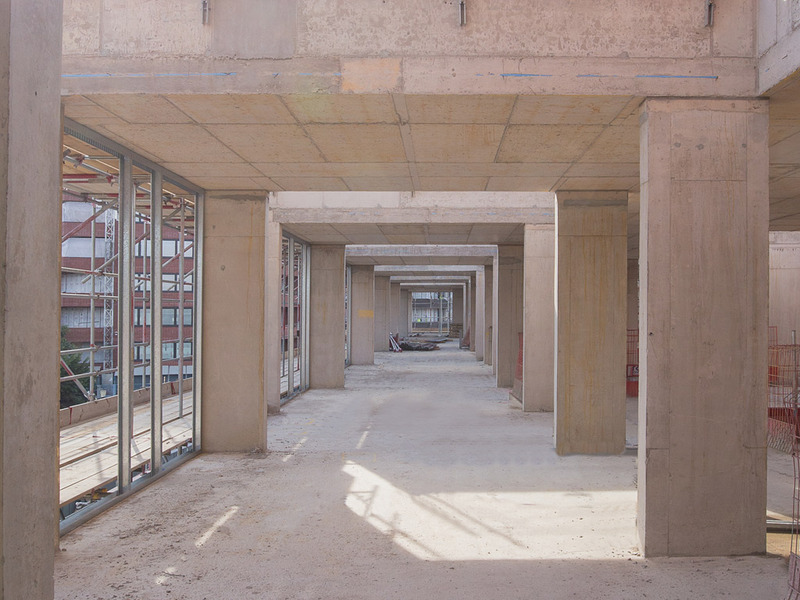 I would have no hesitation in recommending them on future projects." 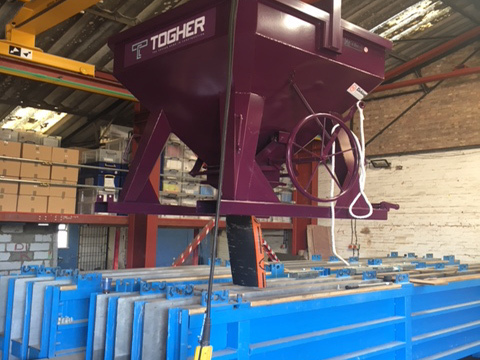 "On a substantial package like this Togher proved themselves to be the right choice for us and I would not hesitate to use them on future projects."